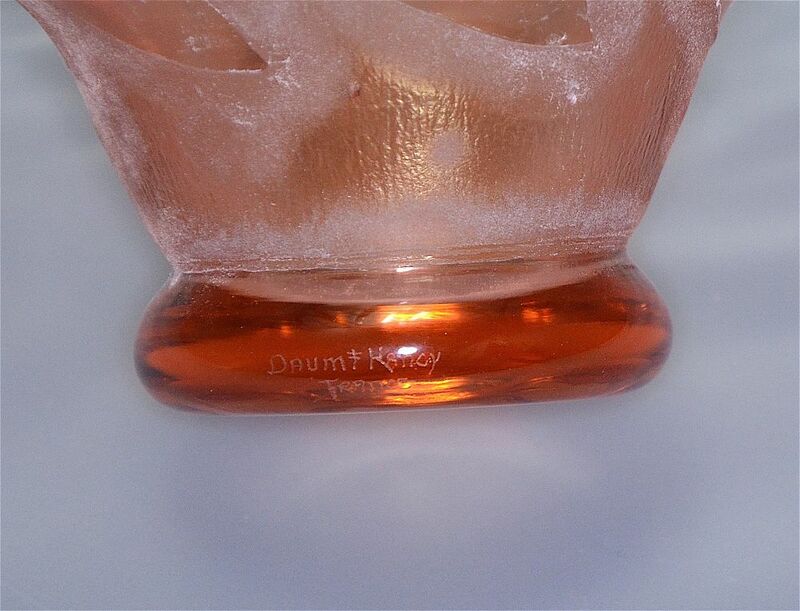 This lovely peach/pink footed coupe is by the French glass company Daum Nancy. 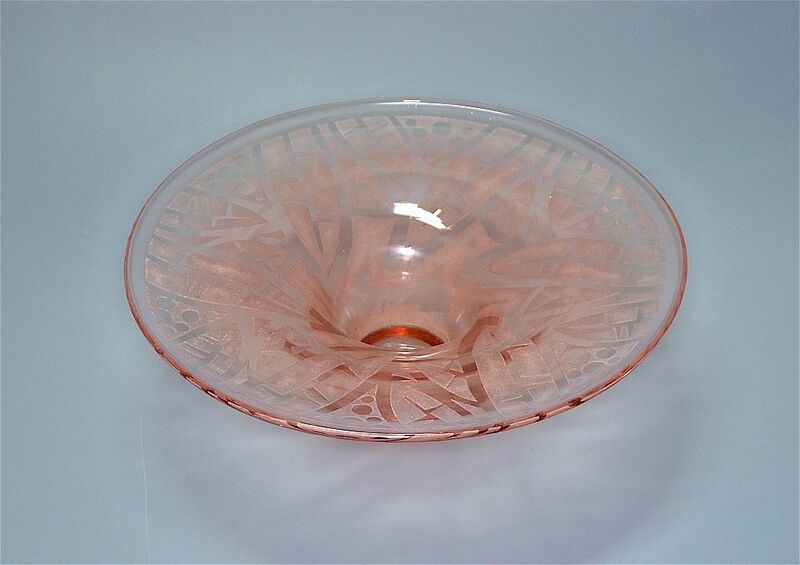 Made during the Art Deco period the underside of the broad flat topped coupe has an acid etched geometric pattern. The edge of the foot is incised "Daum Nacy France" and has the Cross of Lorraine symbol.